The Southern Poverty Law Center (SPLC), a liberal, Alabama-based legal advocacy nonprofit and civil rights watchdog, recently refused to designate the radical leftist movement known as "antifa" as a "hate group," despite acknowledging that its members use violence and oppose free speech. "We oppose these groups and what they're trying to do. We just don't think anyone should be able to censor someone else's speech," Cohen said. "We think they are contributing to the problem we are seeing. We think it's likely to lead to other forms of retaliation." However, Cohen refused to label antifa a "hate group" since its members do not discriminate on the basis of race, sexual orientation, or other categories protected by anti-discrimination law. "There might be forms of hate out there that you may consider hateful, but it's not the type of hate we follow," he said. The FBI and Department of Homeland Security have been warning state and local authorities since early 2016 that antifa had become increasingly violent, describing its members as "anarchist extremists." DHS formally classified their activities as "domestic terrorist violence." The nonprofit organization, which came under fire last week after the Washington Free Beacon reported that it transfers millions of dollars to offshore entities as part of its business dealings, has been criticized for placing mainstream conservative and peaceful Christian organizations in the same category as racist and violent groups such as the Ku Klux Klan. The SPLC publishes an annual "hate map" and claims 917 hate groups are actively operating in the United States at present. The Singing Nuns in Spokane, Wash. In 2013, the pastor of Mount St. Michael, Rev. Casimir Puskorius, told the Spokesman-Review that he thought the SPLC's designation of his church as a hate group was "very unfair." Puskorius said he believed the SPLC's label was politically motivated to target a conservative Christian group. At one point, Mount St. Michael weighed a lawsuit. "We considered suing them, some years ago, but they have more resources than us," Puskorius said. In August 2012, a man walked into the Christian pro-family, non-profit Family Research Center's headquarters with the intention of killing "as many as possible" and smearing "Chick-fil-A sandwiches in victims' faces." He found the organization through the SPLC's online listing of "anti-gay groups, which includes FRC because of its traditional marriage views. "The SPLC's reckless labeling has led to devastating consequences," FRC president Tony Perkins told the Examiner. "Because of its ‘hate group' lists, a deadly terrorist had a guidemap to FRC and other organizations. Our staff is still reeling from the attack, and the chilling effect this could have on organizations that are simply fighting for their values is outrageous." CIS executive director Mark Krikorian wrote a Washington Post op-ed earlier this year in which he argued against the SPLC's designation of his Washington, D.C. think tank as a "hate group." 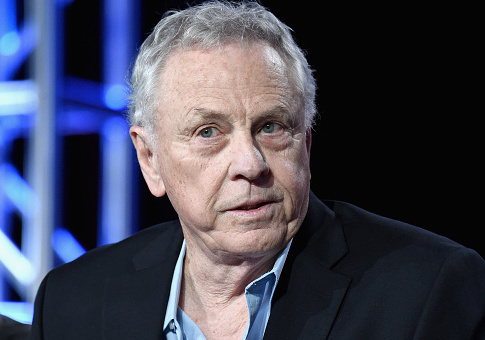 "The wickedness of the SPLC's blacklist lies in the fact that it conflates groups that really do preach hatred, such as the Ku Klux Klan and Nation of Islam, with ones that simply do not share the SPLC's political preferences," he wrote. "The obvious goal is to marginalize the organizations in this second category by bullying reporters into avoiding them, scaring away writers and researchers from working for them, and limiting invitations for them to discuss their work." The SPLC has accused the socially conservative organization of pediatricians and health care professionals of defaming "gays and lesbians in the name of protecting children." FAIR doesn't "just" research "the facts" about immigration policy. It is a lobbying organization. This is no secret. On its own website, under "Our Objectives," FAIR said it seeks "to influence public policy directly by lobbying (to the extent permitted by our tax status) and by protecting the citizens' rights in the courts." Its "mission," in part, is to "advocate immigration policies that will best serve American environmental, societal, and economic interests today and into the future." And then there's the "facts" FAIR puts out there, the alleged "truth" that, you say, is so disliked by the "other side." Sometimes FAIR's "facts" are true. More often, they're debatable, culled as they are from dubious sources like FAIR's sister organization, the Center for Immigration Studies. The bottom line is, FAIR doesn't peddle facts; it peddles hate. SPLC then argued that FAIR exploits "racial tensions and economic anxieties" by promoting more strict immigration policies. FAIR is also one of the very few charities in the United States certified by the Better Business Bureau as meeting all of its giving standards for a charitable organization, highlighting management, honesty, and responsibility. By contrast, the SPLC has been singled out as an organization that fails virtually every standard for accountability as a charitable nonprofit corporation. FAIR also has a reputation of transparency, objectivity, and credibility with the national news media. The New York Times, Wall Street Journal, Washington Post, CNN, Fox News, MSNBC, and National Public Radio are several examples of the elite news organizations that rely on FAIR for information, commentary, and analysis. This entry was posted in Issues and tagged SPLC, Violence. Bookmark the permalink.